Doushikai is our Maidenhead-based martial arts club founded in 2001. Learn more about what we have to offer. Learn more about what we teach, where /when we train and see photos of our club training. Doushikai is affiliated to an international martial arts organisation. Doushikai Martial Arts is a Karate club that is open to all, children and adults, male and female, of all abilities and martial arts experience, whatever level of fitness from the age of 6 years old. 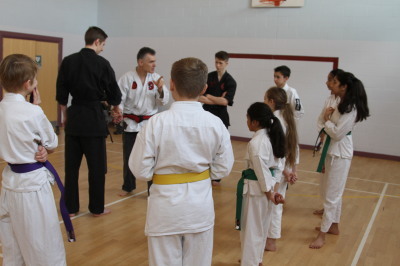 As well as learning the techniques of the martial arts students develop increased fitness, co-ordination, strength and flexibility, self discipline and confidence.